At Rye Court Hotel our guests can expect a warm welcome and comfortable stay. We are a family run boutique hotel near London offering 17 beautifully refurbished and fully equipped en suite rooms conveniently located close to High Wycombe town centre and train station. Situated on London Road which is easily accessed from junction 3 of the M40 Rye Court Hotel is ideally placed for your travels whether you are visiting for business or leisure. Our bed and breakfast offering is second to none as evidenced by our excellent guest reviews which is why Rye Court Hotel is the number one choice for your visit. 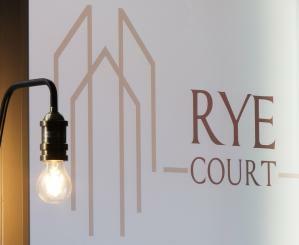 Rest assured that when you select to stay at Rye Court Hotel in High Wycombe, you will be choosing a beautifully designed boutique hotel that is the ideal choice for families and business travelers alike so you will not be left disappointed. Having secured high quality hotel accommodation you can focus on planning the rest of your trip whether it involves some retail therapy at the renowned Eden Shopping Centre, exploring the natural beauty of the Chiltern Hills, visiting the quaint and historic towns of Marlow, Henley, Beaconsfield and Amersham, or just a short business trip. You can be confident that each night you will have a rejuvenating and relaxing stay at our impeccably clean and relaxing hotel.